Good News about Politerature’s Shelley Ettinger! issue #3, available at http://newtownliterary.org/issues/. 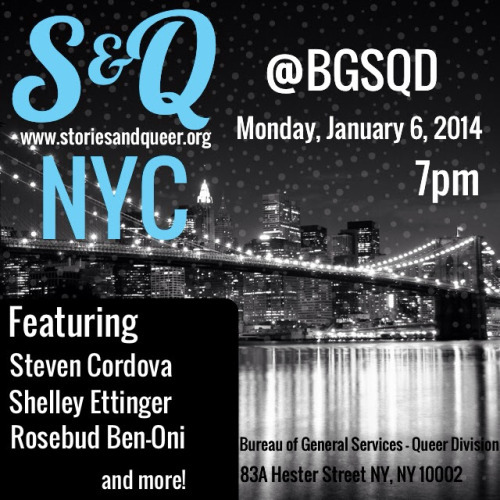 Also, she will be reading at the upcoming Stories & Queer, a national reading series highlighting LGBTQ poets and writers (see http://storiesandqueer.tumblr.com/) on January 6, 2014 at 7:00 PM at 83A Hester Street. Comments Off on Good News about Politerature’s Shelley Ettinger!